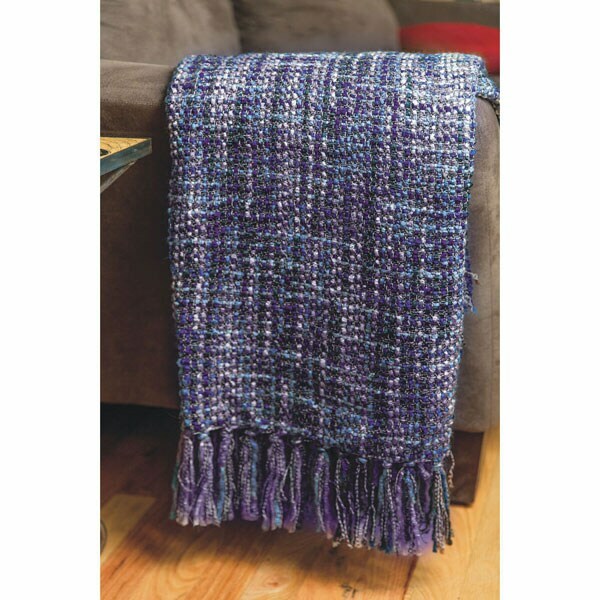 Rich color, easy-care and a loose, chunky knit make this woven throw both beautiful and useful. Made in the USA of polyester yarn with an over-sized fringed trim. 50" x 60". Machine wash in cold water on a delicate cycle, tumble dry on low heat. A handsome complement to our Orchid indoor/outdoor pillows. Perfect for an early evening wrap when watching the sunset from your outdoor chaise. Item can only be shipped within the Continental US.